Never has it been so easy to take a break from life at home and travel to those exotic destinations we’ve all dreamt of from a young age. We all look forward to those all-important breaks we all need throughout the year, to sit back and unwind. 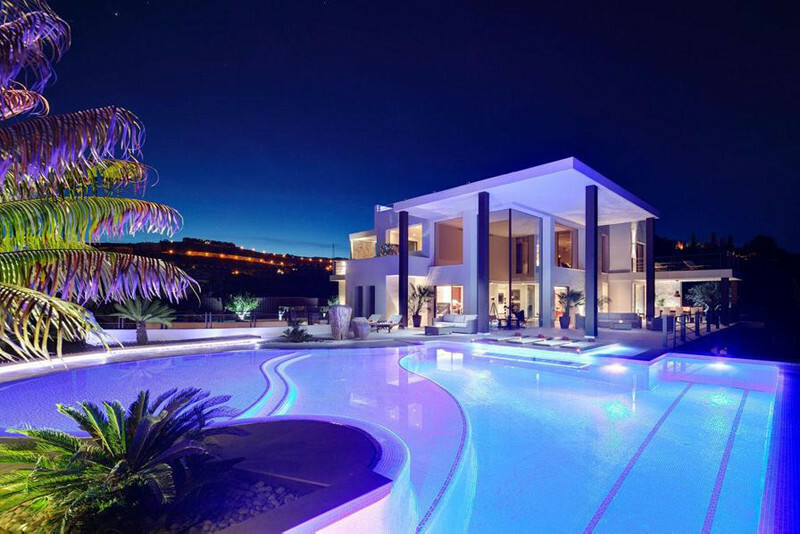 But choosing where to go, in your budget can be a nightmare. That’s why we’ve launched the new Clickstay digital magazine brimming with interviews, informative articles, awe-inspiring photography and even a discount or two. 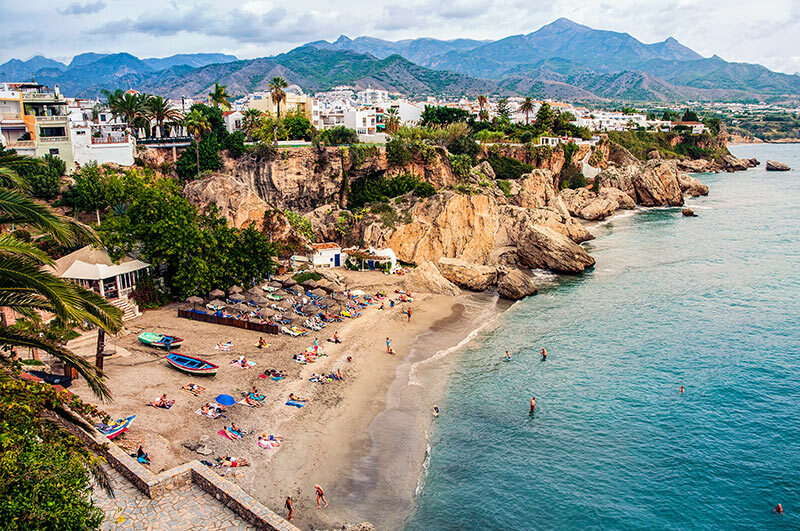 This month we take a look at Spain and why we think, you and your family will fall head over heels for its Mediterranean charm. Just download the magazine to find out more. We’ve hand-picked a selection of properties for you to enjoy, whether you’re planning in travelling with the family, as a couple or you just fancy a solo adventure. The best part is we’re offering up to 35% off these charming apartments, as long as you book to stay between September and October, the perfect thing for a late summer getaway. 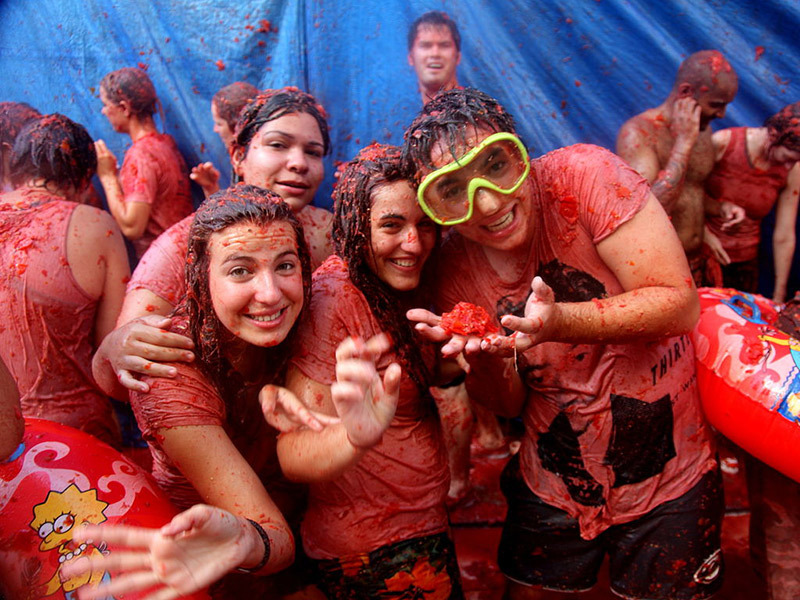 Spain has so much more to offer than beautiful scenery and palm-fringed beaches. Behind the beautiful aesthetics lies the pulse-pounding culture of a country that loves to celebrate. We’ve put together a selection of events and parties for you to get involved with over the summer, from street parties to parades, there’s something for everyone. 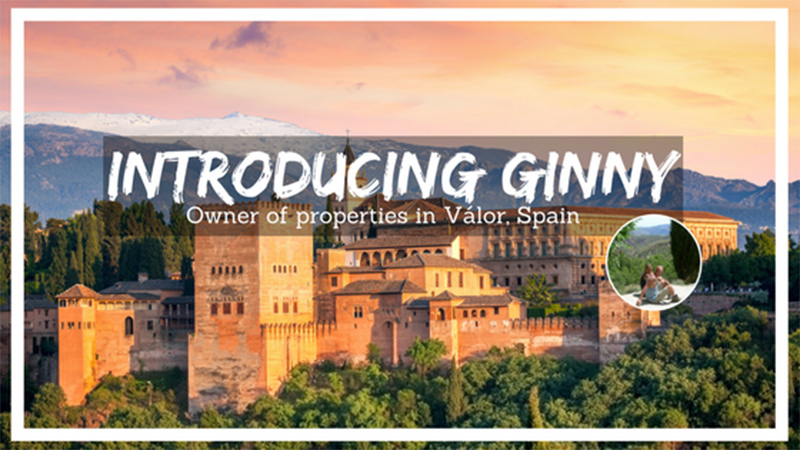 Ginny and her husband proudly own some charming properties in a virtually undiscovered part of Spain, Válor. She tells us how she fell in love with this sleepy municipality and as there is virtually no tourism industry in this part of Spain, it’s the perfect place for an escape. 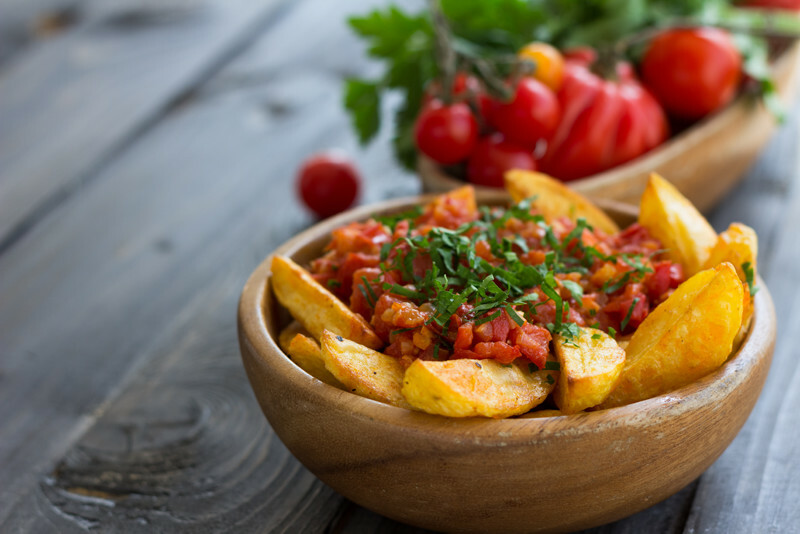 Spain is home to the tapas dish, a variety of delicious dishes expertly prepared by Spaniards who have perfected each of the recipes for generations. Many of the main cities are packed with bars and restaurants offering a massive range of tapas dishes for you to try, but where to begin? We’ve put together a list of our favourite tapas meals and how they’re made. It’ll make you hungry just reading it! Barcelona is home to some of the most iconic sights in the whole of Europe including Park Guell and the Sagrada Família. 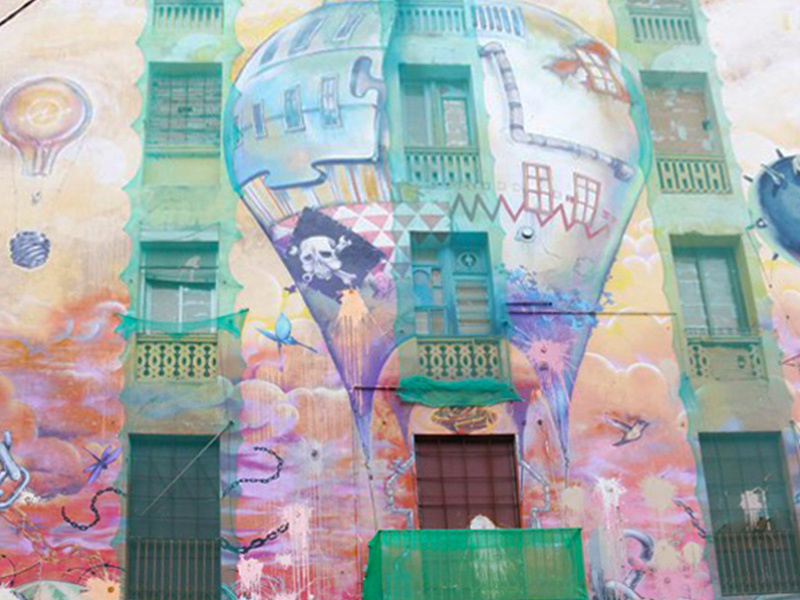 But in recent years a new trend has been rising and Barcelona has become famous for a whole other reason; street art. This new urban phenomenon is taking off in Barcelona and Brenda Lettison explains how the capital city of Catalonia became the central hub of modern street art. 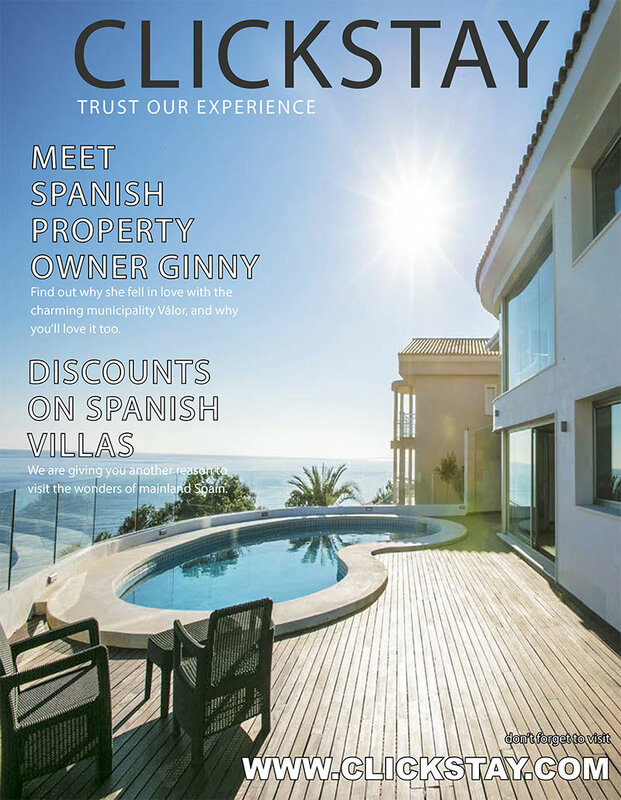 In this month’s issue of the new Clickstay magazine we are offering you £50 off a break to Mainland Spain, just another reason to dust the suitcase off and head to the airport. Positively Jessica Ward tells us how her past experiences put her on the path to positivity, and how she uses her corner of the internet to inspire people to exercise, travel and eat healthily.